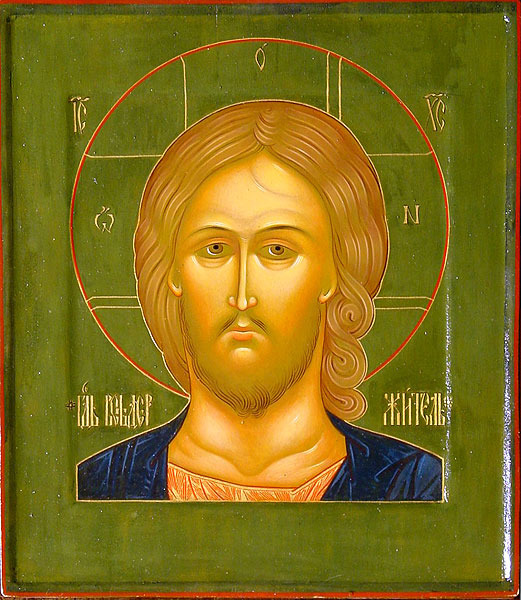 Our Lord Jesus Christ alone is the one High Priest "according to the order of Melchizedek"; the ever-present head of the Church, the pastor (i.e., shepherd) of our souls. Every pastor, from Patriarch to village priest to each member of the whole "priestly people" of God acts only as His instrument. He has promised never to leave us orphans, never to abandon His Church. He continues to be present in the lowliest country church as well as the greatest cathedral, especially through the sharing of His Body and Blood in Holy Communion, which we continue to do at His command, until He comes again in glory. Maranatha! Come, Lord Jesus! Patriarch Kyrill is commemorated with love at every service celebrated at St .Herman's. 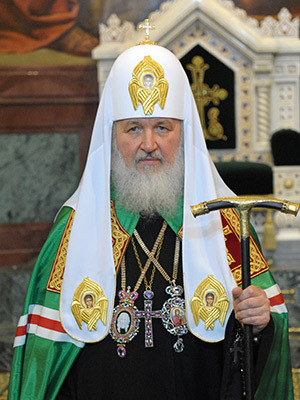 .His Holiness the Patriarch is the father of the world-wide Russian Orthodox Church, the largest of the Orthodox churches worldwide. 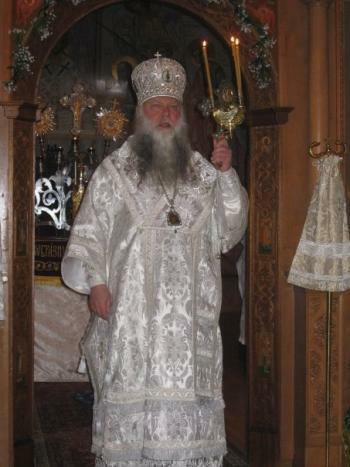 .Through his episcopal fatherhood, the Russian Church relates on an equal basis of honor and love with all the Orthodox sister churches. 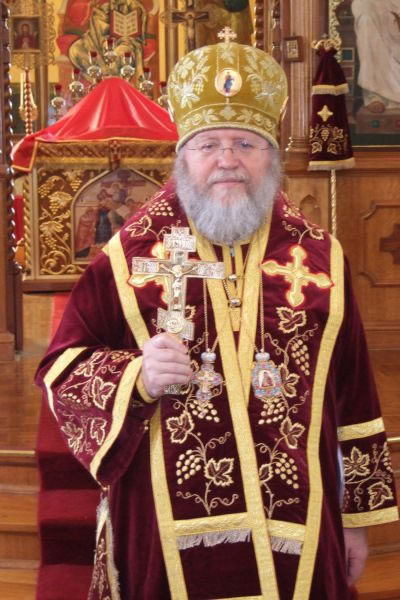 The source and the result of this unity is the sharing in the one saving Chalice when the patriarchs serve the Divine Liturgy together. .
Metropolitan Hilarion is the senior ranking bishop of our Russian Church Abroad, which preserves and shares the spiritual heritage of Russian Orthodoxy internationally. The ROCA (sometimes called ROCOR) is a small but active member of the Orthodox world, with parishes from Indonesia and Australia to South America and Europe. It is an integral, self-governing part of the one Russian Orthodox Church headed by Patriarch Kyrill..
(Lukianov), the spiritual fatherof our local Orthodox diocese. Matushka Darya is the choir director at St. Herman's. Her icons adorn the temple. Fr. Elias was ordained to the holy diaconate on August 3/16, 2015 by (then) Bishop Peter. He and his wife Rachel have three children.